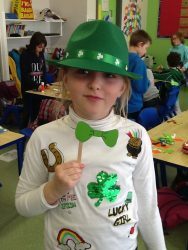 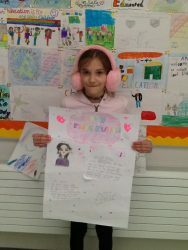 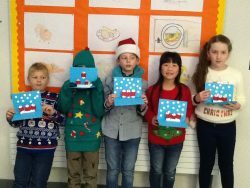 December was an exceptionally busy month in Katie’s third class! 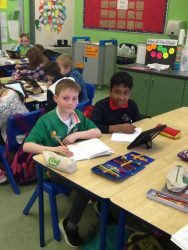 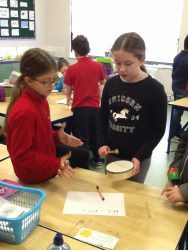 Preparations were well on the way for our winter performance, learning a variety of songs, poems and tunes on the tin-whistle. 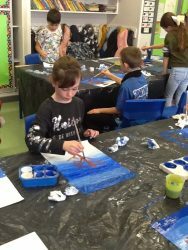 All of the children performed excellently on the day. 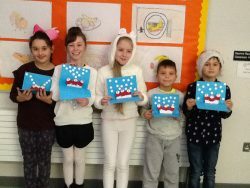 The theme of ‘winter’ was the main focus of December. 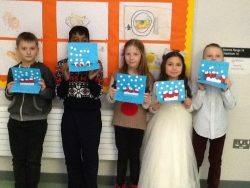 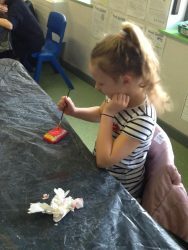 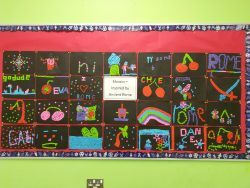 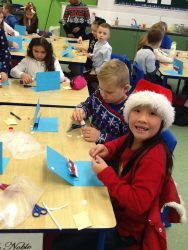 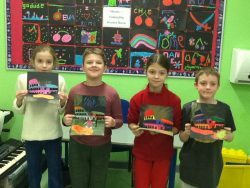 The children created beautiful winter pop-up cards during art lessons. 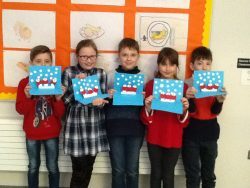 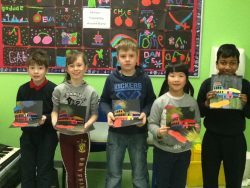 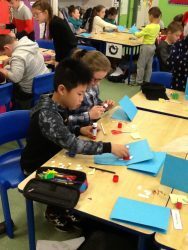 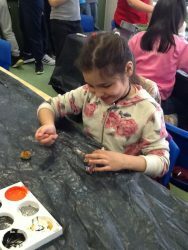 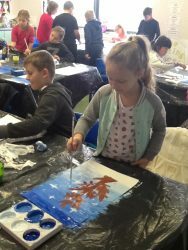 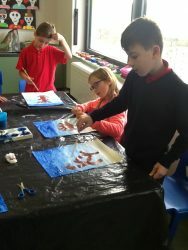 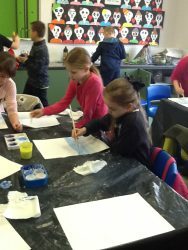 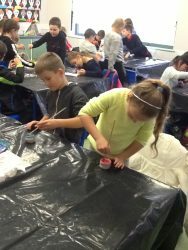 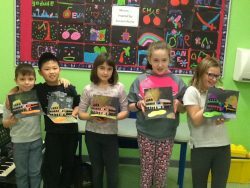 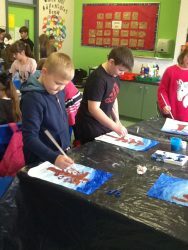 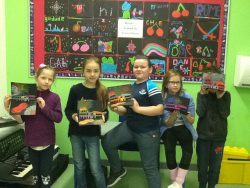 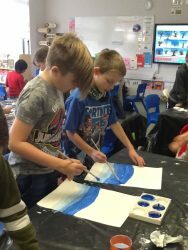 The children also created winter wonderland scenes using paint tinting techniques. 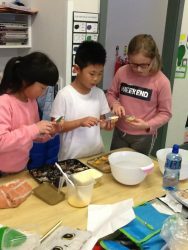 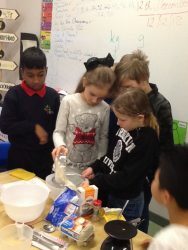 We also had the opportunity to improve our baking skills by working together to make delicious cookie sandwiches. 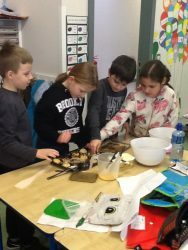 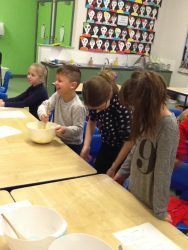 The boys and girls were amazed to see all of the different mathematical skills we use while baking! 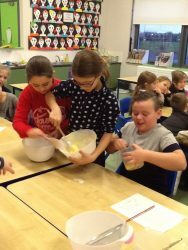 Weight, fractions, time and 3D shapes were all incorporated into the fun baking lesson we had! 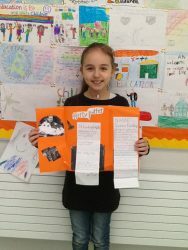 November was a very busy month for Katie’s third class. 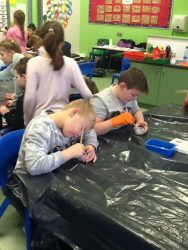 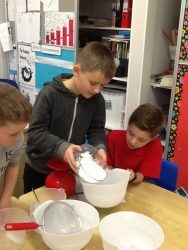 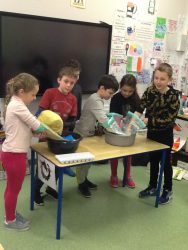 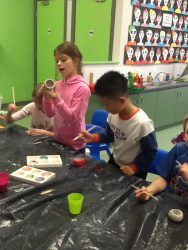 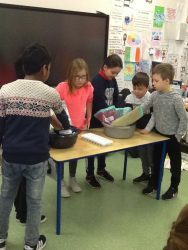 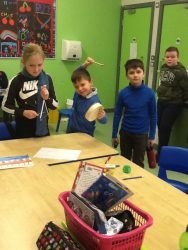 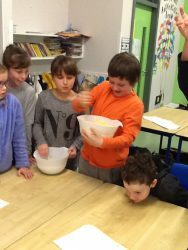 Not only did we have our usual science lessons, we also took part in science week. 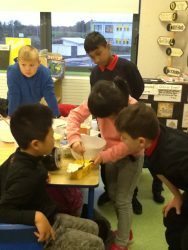 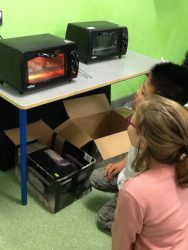 We completed many experiments (e.g. 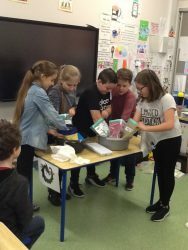 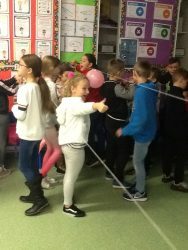 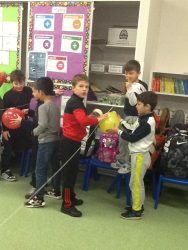 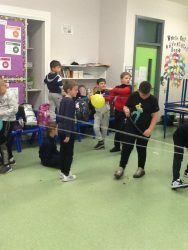 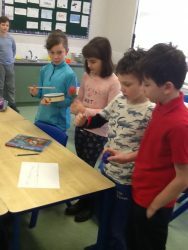 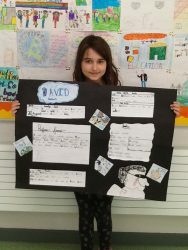 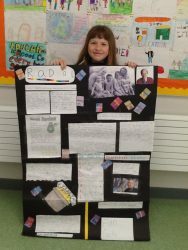 the balloon experiment which demonstrated that anything that moves uses energy), tried to use as little energy as we possibly could in our school and created posters for new inventions that would only use renewable energy. 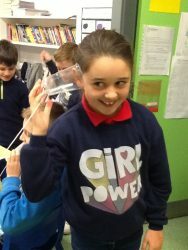 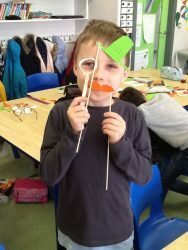 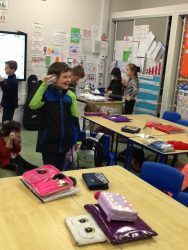 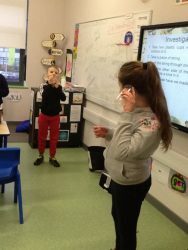 We also made telephones from cups and strings to investigate how sound travels. 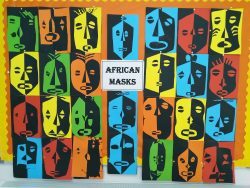 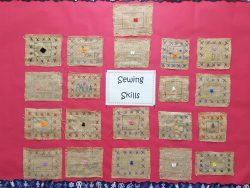 Diwali was a theme we explored in Learn Together this month. 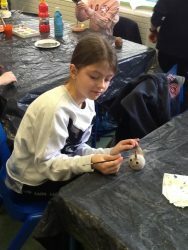 The children learned about the Hindu ‘Festival of Light’ and created beautiful clay pots and carved Rangoli symbols on them. 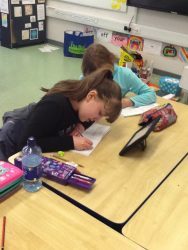 Fractions was an area explored in maths this month. 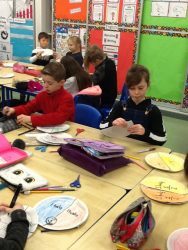 Everyone created fraction paper plates to show halves, quarters and eighths. 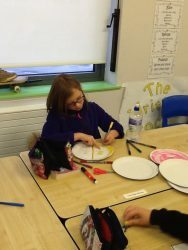 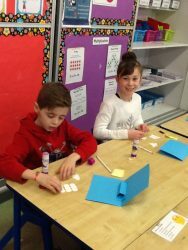 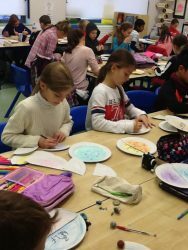 The children showed equivalent fractions using their paper plates and their fraction wall. 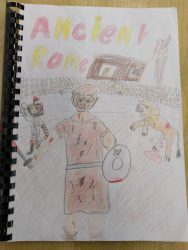 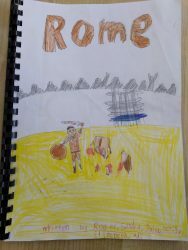 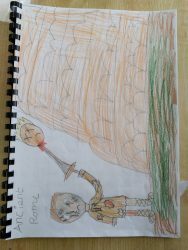 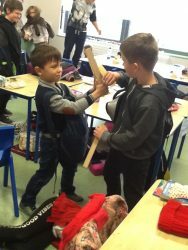 We learned about the Celts and the Iron Age in history. 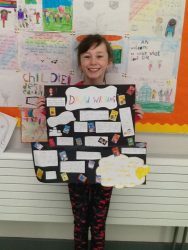 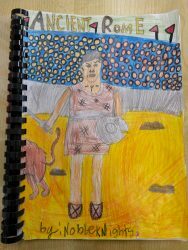 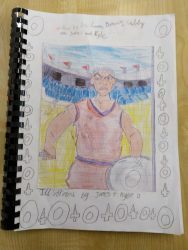 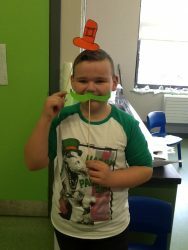 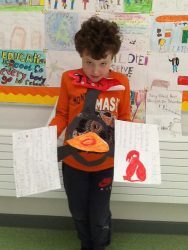 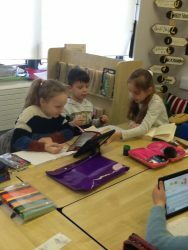 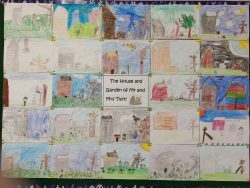 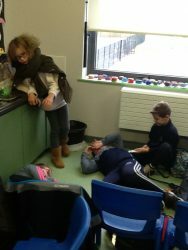 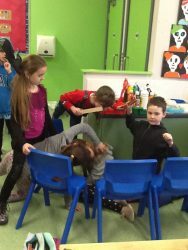 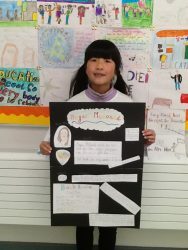 The boys and girls created fantastic still images and improvisation scenes to depict Celtic life in Ireland long ago.